Home Uncategorized Bright Club Open Call! Bright Club Ireland, the variety night bringing academic research and comedy together, is looking to fund COMEDIANS & PERFORMERS to develop material for headline performances in late 2018 and early 2019. We will award a small number of €500 grants to performers of any type willing to develop 15-20 minute sets, incorporating academic research of some kind, from diverse backgrounds and perspectives. Be available to perform the developed material at a Bright Club event in Ireland between October 2018 and March 2019. 100 word description of the material you would like to develop. Please specify what academic research/field it is linked to and any background you have which makes you suitable for this project. You may also submit graphic or audiovisual samples which would help explain your project. A brief description (50 words or a few bullet points) of how you plan to research and develop this material. Successful applicants will be paid €300 on receipt of drafted material, and the remaining €200 upon performance of said material in a headline slot at a Bright Club event in Ireland. If any travel expenses are incurred to travel to/from the performance, these will be covered as well. We are looking for material that is thoughtful and funny, and shows existing research or ideas in a new light. Comedy as well as other performance and art styles will be considered. Preference will not be given to acts who have performed previously at Bright Club, however all acts should make sure their submitted video clip is of a high standard and suitable for Bright Club audiences. Any queries can be directed to info@brightclub.ie before August 1, 2018. 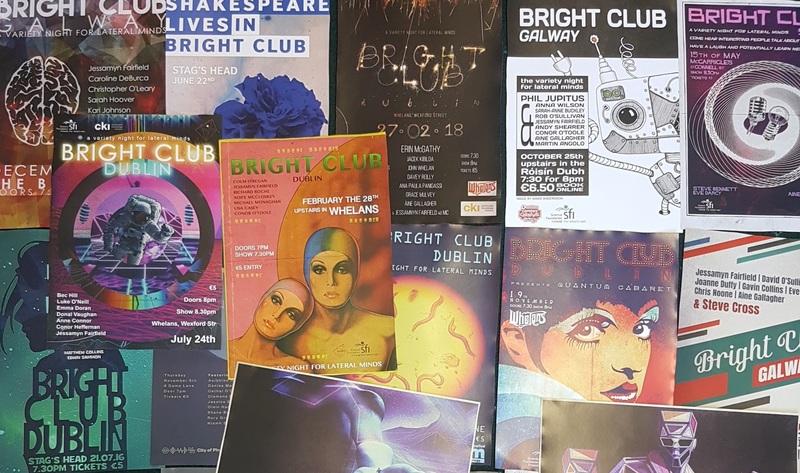 More information on Bright Club Ireland can be found at brightclub.ie, including videos of past sets.